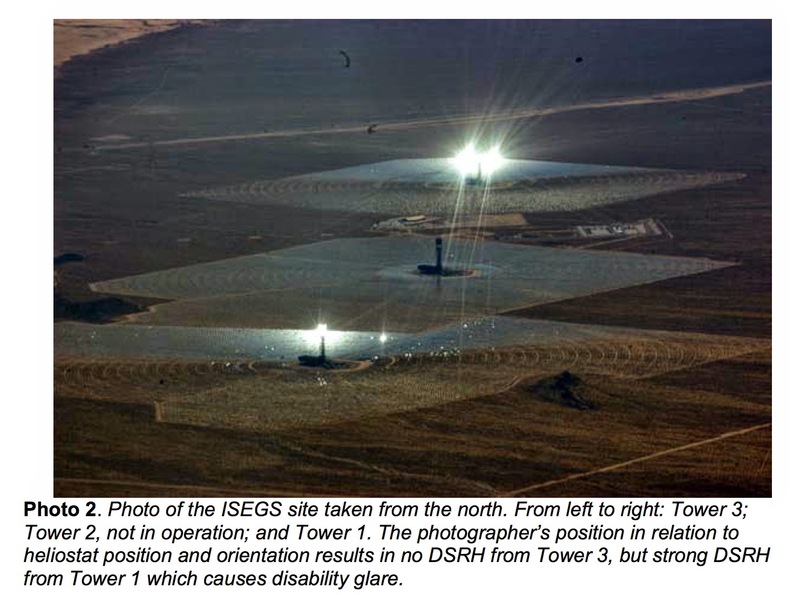 The photo and text above were submitted by CEC staff as part of a supplemental staff assessment in the Palen Solar project proceeding regarding glare. The Caltrans Aeronautics Division Chief was also part of the flight, and the flight crew noted that the glare was "excessive," "painful" and compromised vision. Note that Unit 2 does not to appear be operational during this flight in early May. 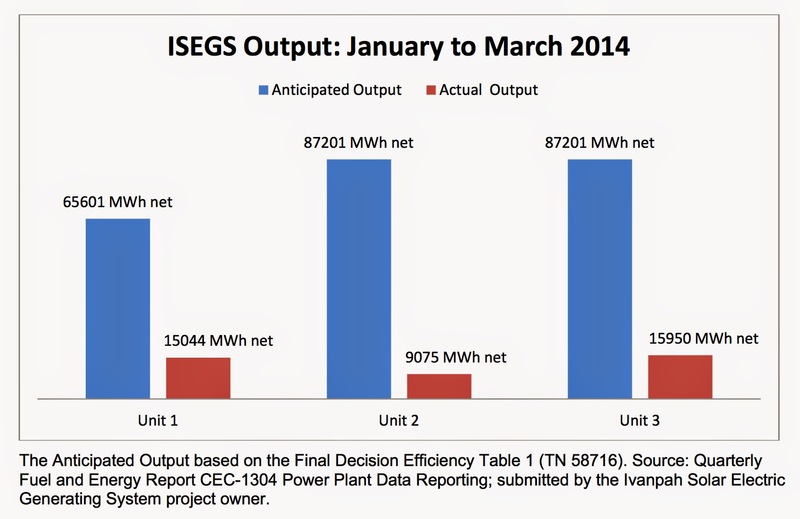 According to supplemental analysis submitted by CEC staff for the Palen Solar project, the Ivanpah multifuel project was only online for a fraction of the anticipated capacity (see chart below) from January to March 2014. Although these statistics were meant to provide context for the project's impacts on wildlife, they could also suggest that the overall ratio of natural gas and solar energy inputs could be skewed toward the fossil fuels if natural gas was used to keep steam warm while the company struggled to synchronize its mirrors. According to the CEC's Renewable Portfolio Standard Eligibility Guidebook, Ivanpah's energy generation must include no more than 2% of heat inputs from fossil fuels in order to count toward California's RPS goals. With so many of the Ivanpah project's thousands of "heliostat" mirrors in stand-by mode for so many hours and days out of the year, it's possible that the project could surpass that 2% limit. The chart speaks for itself. 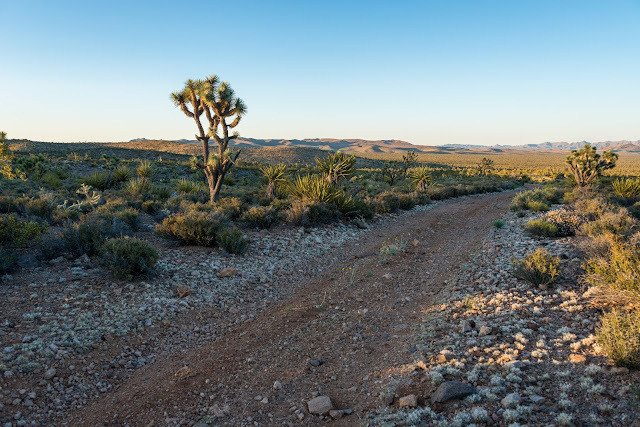 The Ivanpah multifuel project has had a tough start and may need to burn more natural gas, despite BrightSource Energy's confidence that its technology is necessary to meet California's Renewable Portfolio Standard. Even with only partial operational success in early 2014, incidental and preliminary biological surveys found hundreds of dead birds and bats at the Ivanpah multifuel project, killed either in the solar flux (superheated air above the field of mirrors) or collision with facility structures. As a biologist noted in testimony submitted on behalf of the Center for Biological Diversity, it is likely that many more birds were killed but their carcasses were not found during the partial searches, or scavengers removed the dead birds and bats before they could be discovered in searches. Biologists are still working to determine the full extent of the power towers' impacts on wildlife. 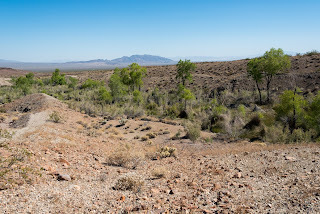 Once again we have to ask ourselves what we get in return for this sacrifice of intact desert wildlands. 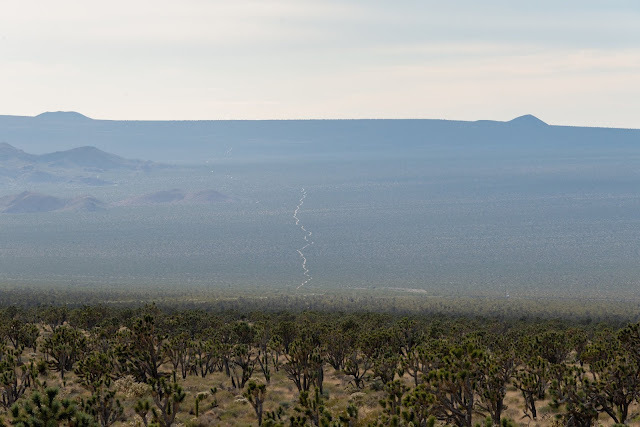 In the case of Ivanpah, we have a multi-billion dollar hybrid solar/natural gas plant that has destroyed 5.6 square miles of prime tortoise habitat, and now burns and batters hundreds - and perhaps thousands - of birds and bats each year. It would be much wiser to double down on renewable energy and storage technologies that do not use our treasured landscapes as testing grounds and instead promote a more sustainable grid, such as Solar City's batteries paired with rooftop solar, or UC Riverside's solar parking lots and battery storage.